GM leases out nearly 40,000 SQFT in Midtown/Lenox Hill! General Motors Company, which lends its name to the most valuable office property in America, has found a tenant for one of its three remaining floors at the Boston Properties-owned tower at 767 Fifth Avenue, The Real Deal has learned from CompStak. GM will sublet 38,100 square feet on the entire sixteenth floor of the 50-story, 2 million-square-foot property to investment firm Reservoir Capital, the CompStak data show. GM is currently paying per-square-foot rents in the high $80s for the space, and Reservoir will get a slight discount, paying rents starting in the low $80s. That’s for a six-year deal with more than half a year of free rent, the data show. GM’s footprint at the building has steadily declined over the years since it sold the tower for $500 million in 1982, and it was looking to sublet 114,300 square feet on floors 14 through 16, according to a brochure posted on listings website 42 Floors. Jones Lang LaSalle broker Lloyd Desatnick, who is marketing the subleased space along with colleagues Peter Riguardi, Cynthia Wasserberger and Alexis Tener, declined to comment, and the other brokers did not immediately respond to requests for comment. Representatives for Reservoir could not immediately be reached for comment, and it is unclear who brokered the deal on their behalf. 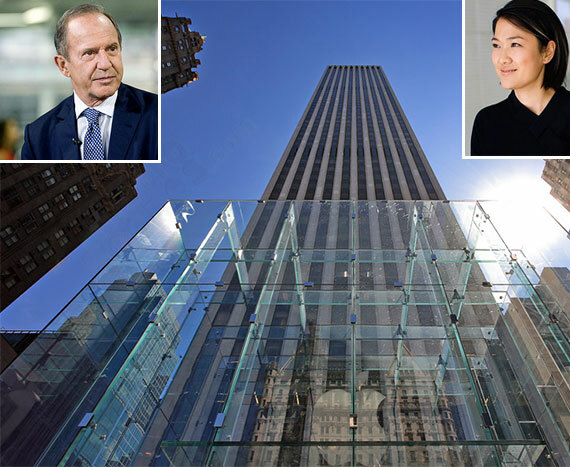 In June, the families of Chinese real estate developer Zhang Xin and Brazilian banking magnate Moise Safra paid $700 million for a 40 percent stake in the building and also assumed a large chunk of the building’s debt. The deal valued the GM Building at $3.4 billion, making it the nation’s priciest office property. At the end of August, financial firm BlueCrest Capital struck a deal to occupy 38,000 square feet on the entire ninth floor, leaving the building 100 percent leased. And in May, Brazil-based Banco Itaú agreed to expand to 35,000 square feet from 25,000 square feet at the building’s penthouse, paying an eye-popping rent of just shy of $200 per square foot.